It caught my eye like a red bag of Skittles in the checkout aisle of the supermarket. Only this was a DVD vending machine located outside the new Walgreens in a Covina redeveloped shopping center (at Azusa Avenue and San Bernardino Road). For a buck, customers can rent a movie using an ATM debit card or a credit card. Some reports say the Illinois-based Redbox, which is owned by Coinstar, the folks that put the coin changing machines at the end of the checkout aisle at my local Ralphs, is thriving. According to a report in the Los Angeles Times, an expert on video kiosks says the vending machine movie business reached $519 million last year and could more than double in five years. I started thinking — as a lot of you I imagine — whether this vending machine DVD rental would save me money. I currently pay about $18 a month for Netflix, the mail-in DVD service that provides three movie at a time and like Redbox says, there is no late charges with Netflix. Let’s see, if I rent eight movies a month (that’s two a week) I’d only pay $8 with the machine. I’d save about $10 as compared to Netflix. But would they have those obscure documentaries that my wife, Karen, loves to rent? Still, it seems like a cheap way to rent movies. Again, according to the L.A. Times, Blockbuster seems worried. 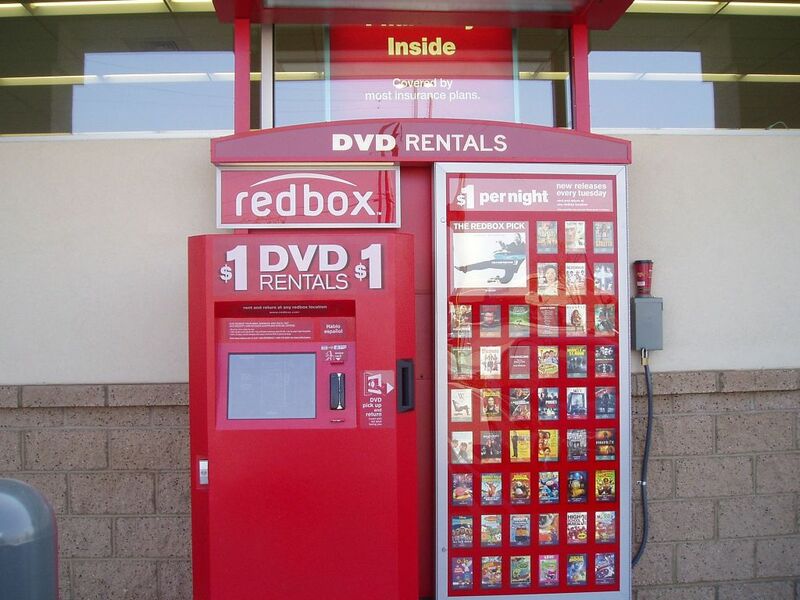 I’m curious if any of you have used Redbox or its cousin, DVDXpress? If so, drop me a comment as to how you like the service. As long as it doesn’t spit out Susan B. Anthony dollars, I’m down. Of course, the state Legislature already likes it because they charge a sales tax on each rental; something that will go up 1 percentage point tomorrow. 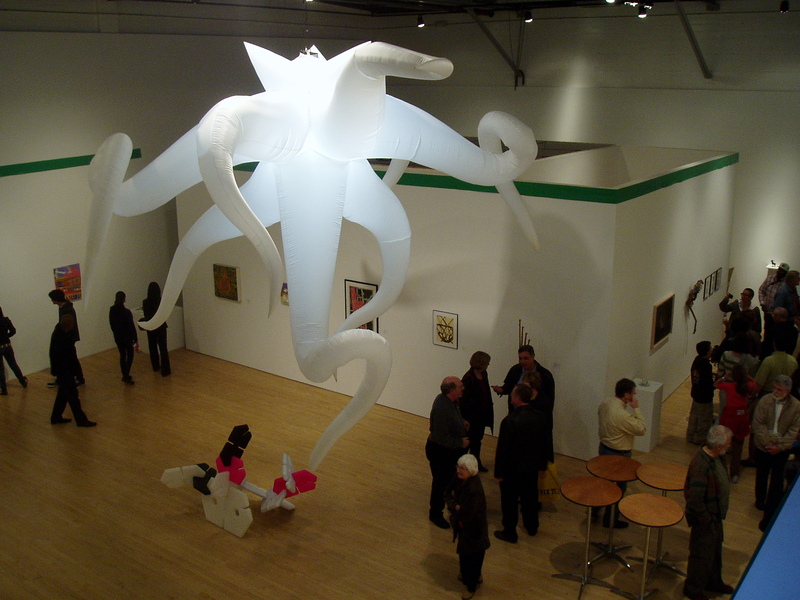 A view from the mezzanine of a crowded Armory Center for the Arts in Pasadena Friday night during the free Art Night. The event continues today at Boston Court. YOU can’t say that Friday night’s Art Night was not a success, at least if you judge by the number of people attending. It was crowds, crowds and more crowds Friday night at the places me and some friends attended: Armory Center, the Pacific Asia Museum and the Pasadena Museum of California Art. Buses chartered to shuttle people to the different venues were almost always packed. We waited on Union Street near Raymond for bus after bus but they were always full. So, we decided to skip going to the Norton Simon Museum. Instead, we hoofed it. The Pasadena Museum of California Art was a real crowd pleaser. The exhibit in the Back Gallery displaying the photos from JPL’s Mars Reconnaissance Observer in 3D were a kick. (The crowd did a egalitarian job of sharing the 3D glasses, because there wasn’t enough to go around). Also, the Pacific Asia’s anime and Samurai art exhibit was drawing big crowds. My wife and I grabbed a concrete bench in the courtyard and as I watched the crowds come in and out of the museum, I couldn’t help but think there were a lot of people taking advantage of something to do at night that was free. A popular event in itself in today’s dastardly economy. It was grand, also, sneaking a peak at the Pasadena Symphony rehearsing for tonight’s performance of Vivaldi. The newly expanded Civic Center looked fantastic at night. Who needs a public art display of hats? I would’ve liked to have seen more food vendors where you can grab a quick bite. I finally convinced my group to let me stop at Manny’s and buy a slice of pizza, which I carried around with me while walking on Colorado Boulevard. Not quite like Manhattan, but close. Now, if only more museums would open doors for free. Cool idea, but we also should not forget to donate, even in these tough times. I was having dinner with a pastor friend of mine from Lake Avenue Church in Pasadena the other night and he told me he had to get back to the church to officiate in an Ash Wednesday service. Since when do evangelicals celebrate Ash Wednesday? I asked, leaving the pad thai noodles hanging from my open mouth. Under Pastor Greg Waybright, this is the second year of the service, he said. I was taken aback. I hadn’t had the black smudge on my forehead since I was a kid growing up in my local Roman Catholic church on Long Island, St. Raphael’s. Then, a few days later, I got the following opinion piece from an evangelical pastor in Michigan, Ken Wilson, who asked evangelicals on his blog to apologize over the way they treated a fine man, Charles Darwin. More crazy stuff, I thought. Until I read on. About 180 evangelicals posted apologies. They repented. For Lent! Wilson was very interested in what people who live near Fuller Seminary think. I would add: Biola University, Azusa Pacific University, Talbot Seminary, etc Since we have so many fine Christian colleges and seminaries in our newspapers’ circulation area. So have at it. Lent is a time for repentance. But repentance comes in many different varieties, some of them, the best ones, surprising. Would you believe American Evangelical Christians who for the last century have been in a culture war with evolutionary science repenting of their ways and evolutionary biologists who have been annoyed with said evangelicals repenting of theirs? To each other? On Darwin’s birthday last month (Feb. 12) I posted an invitation to my fellow evangelicals to apologize for the way we have besmirched the name of a decent man, Charles Darwin. It seemed the decent thing to do for his birthday. I suggested that Darwin’s dangerous idea wasn’t dangerous to Biblical faith. Darwin simply thought species were not forever fixed from the beginning, but that they changed over time by natural breeding practices. He called it, “natural selection” to contrast it with the artificial selection that pigeon, horse, dog and plant breeders practice. I invited them to say, “I’m sorry for not practicing the love that my master bids me to practice – which requires that I listen to others as I would want to be listened to.” And they did – scores of them. I received 170 comments on my modest little blog, http://kenwilsononline.com/. It prompted expressions of gratitude from biologists and the spouses of biologists who have run into evangelical hostility from time to time. The culture war is not over. It takes a long time to wind down a war. But the culture war is losing momentum. Soon it will be a sideline skirmish on the landscape of American religion. We just can’t afford it anymore. We have a culture that is frayed to the breaking point and needs to be repaired. It needs to be repaired by people of faith working hand in hand with anyone willing to get to work. All hands are needed on this deck at this time. Repent, the kingdom of God is at hand! Lent is as good a time as any. The map shows the proposed Shell-Aera land, between Rowland Heights and La Habra Heights. The energy giant wants to build 3,600 homes plus commercial here. I got a call from Whittier City Councilman Bob Henderson, who also is involved with the Puente Hills Landfill Native Habitat Preservation Authority and another group, a kind of joint powers group made up of the cities of Whittier, La Habra, La Habra Heights and Brea. The latter group has about $500,000 in seed money it hopes to use to purchase the acreage owned by Shell-Aera. They want to buy the hillside land and keep it preserved, as is. Aera, a partnership of Shell Oil and Exxon-Mobil, has plans to build 3,600 homes plus commercial developments on the land. The project as configured was rejected a few years back by a county planning agency for violating the sensitive nature of the environmental corridor it is in. Henderson, who knows a lot about preserving lands, says the oil company giants’ project calls for chopping off almost all the ridgelines and filling in the canyons with the dirt. The total dirt moved would equal more than 63 million cubic yards of dirt. To get an idea of how much dirt that is, the building of the Panama Canal took 100 million cubic yards of dirt. This kind of environmental machete to sensitive hillsides overlooking Rowland Heights is simply not done. Even Diamond Bar, he said, has rejected the project as it is configured. But the bigger question is, with homes sitting empty in the foothills of Azusa (Rosedale) and plenty of foreclosed homes not selling, do we really need 3,600 more homes? When will someone declare a housing glut? When Exxon-Mobil’s profits reach another hundred billion? One final thought. If Walnut and Diamond Bar residents are worried about traffic from Ed Roski’s proposed NFL stadium, what would be the combined effect of building it and Shell-Exxon’s massive housing project just a few miles down the freeway? Gridlock times two? It may be time to sell to the preservationists. Personally, I am never in favor of someone who has been on a city council or school board and lost or quit, running again. Give someone else a chance. Besides been there, done that, what possible new ideas could retreads bring? In Tuesday’s city council election, there were two candidates who fit this description that I know of. Betty Tom Chu won in Monterey Park (after having served previously on the city council) and Bob Low of Covina. I was fascinated with Bob Low’s victory in particular. He served on the City Council for 12 years, from 1978 to 1990. And has never served since. There are seniors graduating from Covina High School that never lived a day in Covina with Low in office. Yet, he won a seat Tuesday capturing 15.1 percent of the vote, enough to take the third seat, despite being outspent by other candidates (there were eight running) by a margin of 100-to-1, he says. 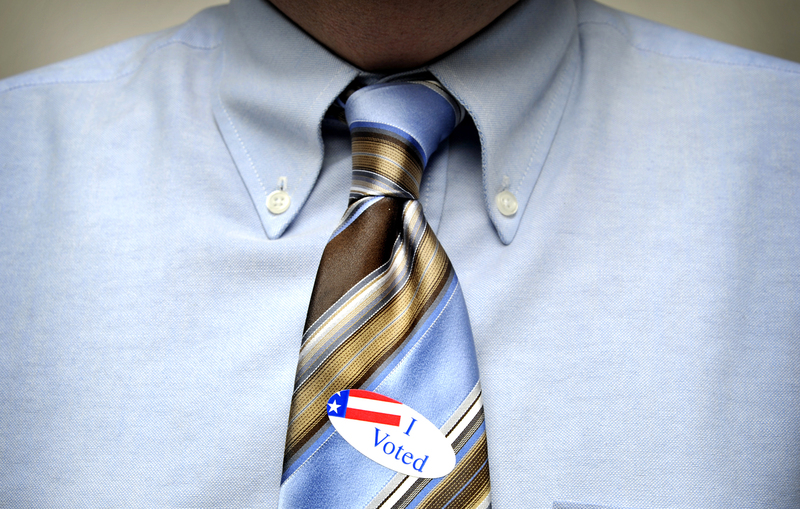 “I spent less than $200,” he said, not including the cost of his ballot statement. The number of campaign pieces he mailed out? Zero. This kind of frugality fits Low’s watchdog message of reducing taxes, fees and doing a better job spending the ones in place. Low is a late-blooming anti-tax crusader. He was opposed to the city’s utility tax that was passed by the voter last year. This time, he focused on open government issues and one of his long-held mantras, improving the city library. “The library facilities are atrocious,” he told me, not mincing words. He fully believes the city can refurbish and or expand the library and staff the expansion. He points to cities of Monterey Park and Monrovia as two examples. Low may be untypical of the retread phenomenon that often doesn’t work out. He is not here to rejoin the City Council, but to oppose them. Every city needs a counter voice. Maybe Low is a different kind of retread. Time will tell. It’s only a tiny sticker. But wear it proudly. Voting is a privilege, a right. It is something I have not skipped in nearly 30 years. This morning, I voted in the city council race in my city. I was handed a small card with candidates name printed on it, and a felt pen. It may sound primitive, but all you do is fill in the bubble next to the two candidates (or whatever is the maximum in your city’s race) and you are done. I watched as the volunteer placed my ballot in the box. Then she handed me my stub. And the “I voted” sticker. Go get yours. The polls close at 8 p.m. tonight. (In Pasadena, your election day is March 10).